UGH! That is the perfect way to start off this post…. 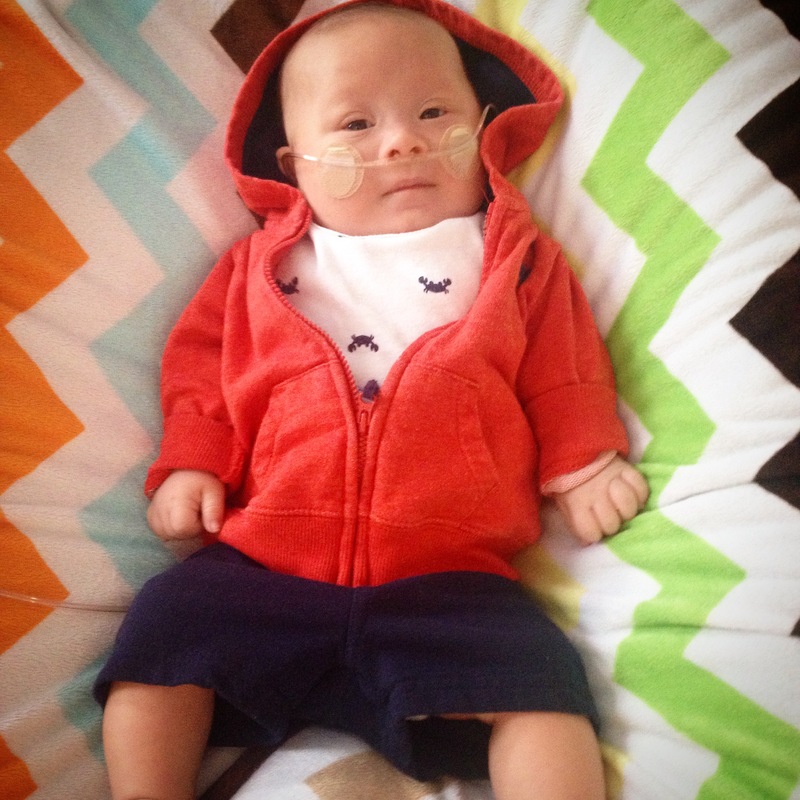 Jaxson went for an appointment this morning with his paediatrician. Everything looked GREAT! The chest x-ray he went for yesterday looked perfect, PHEW! Our main concern was the building up of fluid in his chest, and it looks like that is off of our radar right now. It’s funny, being so concerned about the chyle I honestly wasn’t worried about anything else. Apparently I had a bad case of tunnel vision, which is the exact thing that you are trained not to do in the career I’ve been doing for the last 11 years. BIG FAIL!! He had routine bloodwork drawn while at his appointment and then sent on his merry way. So when I received a call from the paediatrician herself this afternoon you could imagine how my heart sank. It’s never a good thing when the doctor personally calls you. Due to the ‘aggressive’ dosages of diuretics he is on, all of his bloodwork is totally out of whack. His electrolytes are all over the place. Which unfortunately means admission to the hospital until his medications can be adjusted and his body sorts itself out. This would explain his fussiness and constant puking over the last couple of days! I’m trying to stay positive as I know it could be WAY worse! This issue really is nothing compared to the possibility of a collapsed lung, another chest tube and a medivac to the city for further treatment. So continue to keep little Jaxson in your thoughts over the next few days, and fingers crossed he is home by the weekend. Our heart goes out to you both,just some thing the Tiger will go through. Poor kiddo, just keep on keeping on. Our thoughts and prayers are with you! Get better quick little man .. Stay strong mom’s !